Setria L-Glutathione Reduced from Healthy Origins is the perfect dietary supplement for those who extra antioxidant support. 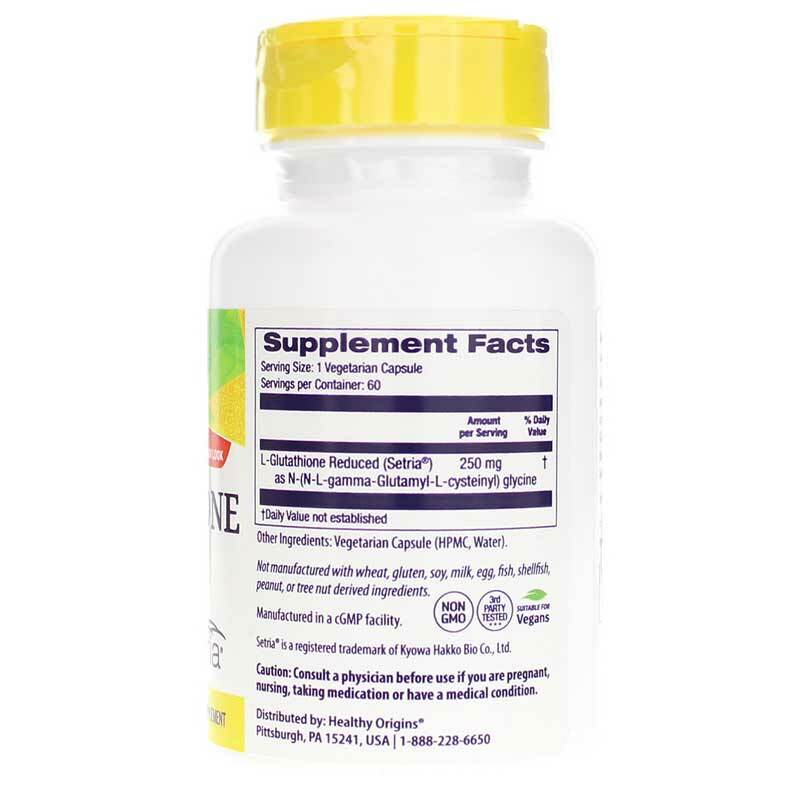 It contains a naturally derived substance rich in L-Cystene, L-Glutamic Acid, and Glycene, all of which play a rolls in optimal overall health and wellness. 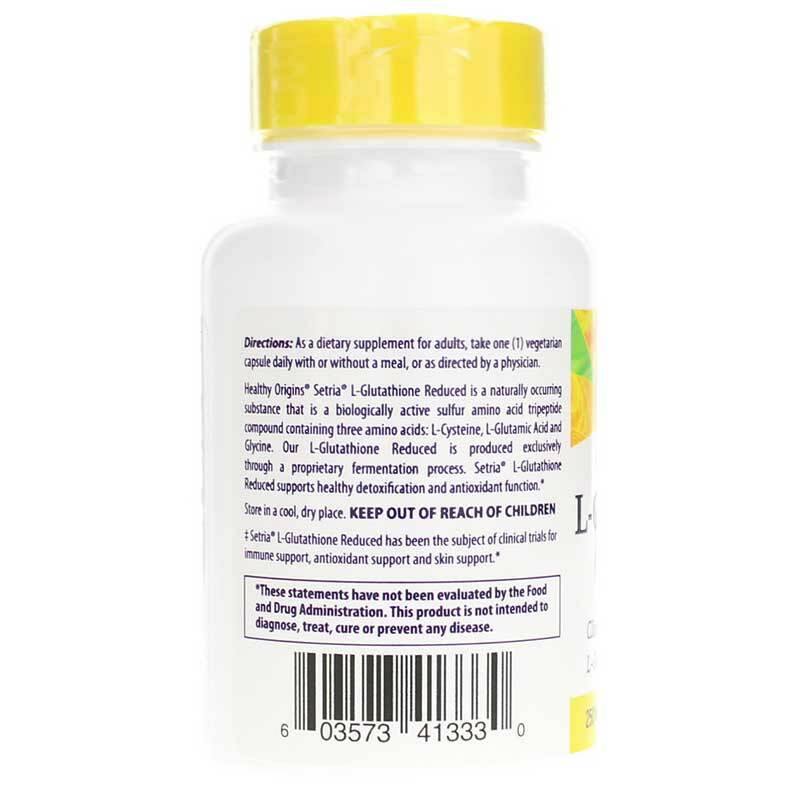 Setria L-Glutathione Reduced from Healthy Origins is formulated without the use of most common food allergens, including, wheat, soy, fish, nuts, dairy, and artificial colors and sweeteners. 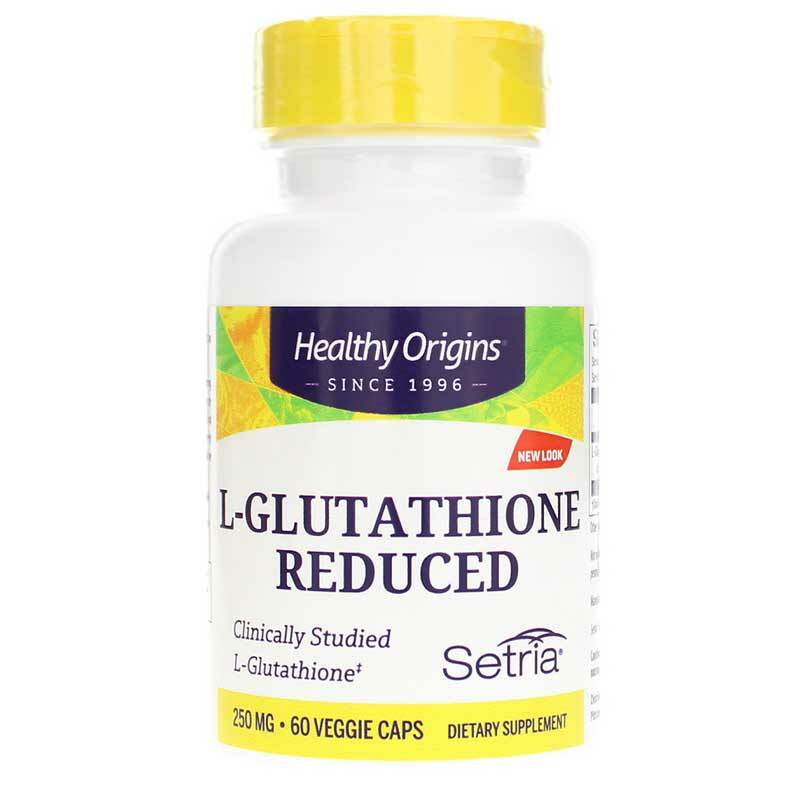 For a boost in antioxidant power and help with healthy detoxification, try Setria L-Glutathione Reduced from Healthy Origins today! Other Ingredients: vegetable capsule (HPMC, water), L-leucine. Contains NO: GMOs, yeast, wheat, gluten, soy, barley, fish, shellfish, nuts, tree nuts, egg, milk, artificial sweeteners, flavors or colors. Suitable for vegans and vegetarians. Setria is a registered trademark of Kyowa Hakko Kogyo Co., Ltd. Adults: As a dietary supplement for adults; take one (1) capsule daily with a meal, or as directed by a physician.